Especially for Gastroenterologists, Emergency Room Physicians, and other physicians who want to perform deeper levels of sedation. This course can be presented as a Private Onsite Course for your Group Practice or Office. 8 hours CEU; $795.00; Group Rates Available. 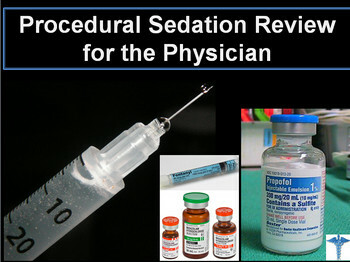 Definitions of sedation and the continuum of sedation. Discuss patient medical assessment and selection. Discuss patient monitoring and standards of care. Discuss patient airway assessment, obtention, and maintenance. Discuss common sedation medications; pharmacology; techniques. Discuss patient recovery from sedation.